Highgate has a rich history of innovative design and many landmark buildings. It is renowned for its fine mix of Georgian, Victorian, Edwardian, Arts and Crafts and modern architecture, and has a wealth of statutorily listed buildings. There are also three registered landscapes of special architectural or historic interest: Waterlow Park, Kenwood and Highgate Cemetery. This richness of character and heritage is reflected in the fact that much of the Plan area is covered by designated conservation areas: Haringey Highgate Conservation Area; Camden Highgate Conservation Area; and the Holly Lodge Estate. The special interest of these areas, and strategies for managing change, are set out in the respective Conservation Area Appraisals and Management Plans (CAMP). Despite its conservation area status, Highgate has recently suffered from insensitive development that has undermined the integrity and coherence of the conservation areas, their buildings and their settings. 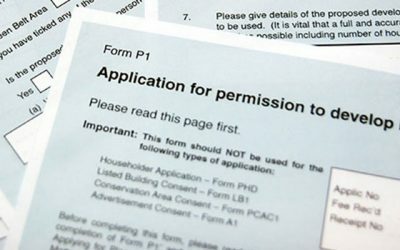 Monitoring planning applications at a strategic level to ensure Plan policies are being followed. We do this in collaboration with the Highgate Society, and our local Conservation Area Action Committees (CAACs). Input on key development schemes in the area including Highgate School estate redevelopment and Channing Schools proposals for the Fairseat House site. Highgate Tourism Strategy promoting appreciation of our rich built heritage and history. In collaboration with the HLSI Archives group we are launching the History of Highgate Shops project as part of the Highgate Festival. Proposals to demolish buildings and structures that are non-designated heritage assets will be subject to a balance judgement with regard to the scale of the loss and the significance of the asset. Any proposed replacement should make a positive contribution to the conservation area. 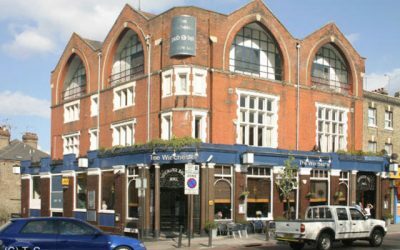 Development proposals, including alterations or extensions to existing buildings, should preserve or enhance the character or appearance of Highgate’s conservation areas, and respect the setting of its listed buildings and other heritage assets. Development should preserve or enhance the open, semi-rural or village character where this is a feature of the area. Rear extensions on residential properties should be subordinate in scale to the original dwelling, complement its character in terms of design, proportion, materials and detail, should not harm the amenity of adjacent properties, and should retain a significant area of garden or amenity space which is proportionate to that of neighbouring properties in the surrounding area. Development should respect and preserve existing architectural features where these contribute to local character and appearance, for example projecting bays and decorative balconies. Side extensions to detached or semi-detached properties, including the enlargement of existing garages, should be sensitive to and respect the character of the streetscape, and not block or significantly infill gaps between buildings, or otherwise disrupt the integrity of the individual architectural composition or group where these contribute to the character of the local area. They should be subordinate in scale to the original dwelling and complement its character in terms of design, proportion, materials and detail. They should not harm the amenity of adjacent properties. Roof extensions, dormers and rooflights should respect the existing roof form in terms of design, scale, materials and detail and be restricted to the rear except where they are part of the established local character and a new extension or dormer would not have an adverse impact on the amenity of the area or the significance of heritage assets; re-roofing materials should avoid use of inappropriate substitute materials that can erode the character and appearance of buildings and areas. Chimney stacks should be retained where they positively contribute to the character of the conservation area. Satellite dishes and other telecommunications equipment should be located discreetly, and not be sited at the front of buildings on the roofline in the conservation areas. Original boundary walls, gate piers or railings should be retained unless their removal is necessary due to the condition of a structure, or replacement provision is proposed which would enhance the character of the area. III. Would result in a loss of visual permeability or public accessibility where this contributes to local character. Where basement development does not fall in the scope of permitted development, and where there is evidence that there may be problems with drainage or flooding, applications for basement development will be supported only where they meet the requirements set out within this policy. iii. There will be no individual or cumulative impact of development on the character and biodiversity of gardens and adjacent open spaces, particularly in designated conservation areas and those areas adjacent to Highgate’s Major Open Spaces (identified in 3.4.2). II. Where there is evidence that there have been problems with drainage or flooding, or desktop surveys indicate problems may arise, applicants will be required to demonstrate to the satisfaction of the LPA that development will not cause or exacerbate such problems. III. Under no circumstances should construction be allowed to proceed where there is evidence that damage to neighbouring properties would exceed Burland Scale 1. Where a Construction Management Plan (CMP) is secured, it should be submitted, and must be approved by the LPA, prior to the commencement of works. I. Any basement development should normally be expected to allow for a minimum of one metre of permeable soil above any part of the basement beneath a garden to support biodiversity and larger trees/planting. This depth should be greater if necessary to preserve landscaping consistent with neighbouring properties. II. All basement developments should incorporate a positive pumped device or other suitable flood prevention device to avoid the risk of sewage backflow causing sewer flooding. Where appropriate, all proposals for new buildings will be required to ensure that waste facilities are well designed and sensitively integrated into developments. Refuse storage points must be appropriately located so they will not impact upon the amenity of neighbouring properties and obscure light wells or basement windows. In line with Camden and Haringey policy, certain types of development will require air quality and noise assessments. This is to ensure that new residential development and other sensitive uses, for example educational, offers suitable protection of amenity for existing and future users. Residential and other sensitive development along these corridors must consider issues such as the use of site screening, insulation, internal layout considerations and appropriate materials. In the event that an adverse impact on amenity is identified proposals will only be supported if appropriate mitigation can be provided. 1. There will be a presumption against the loss of garden land in line with higher level policies. IV. New development will be required to take account of existing front and rear building lines. Within the designated Archaeological Priority Areas as shown on the Councils’ Policies Map, development proposals will be required to assess the potential impact on archaeological assets, Where appropriate, a desktop survey should be undertaken to assist in the assessment and pending the findings, a further field evaluation or trial excavation may be required and, if necessary, more complete excavation. Proposals will be expected to provide satisfactory arrangements for excavation and recording, in advance of development. The information thus obtained from the survey will be published or otherwise made publicly available. Such excavations are to be in accordance with a detailed scheme to be agreed in advance with the Councils, who will, as appropriate, consult with the Greater London Archaeology Advisory Service, Historic England, and other local groups with appropriate expertise. They will be carried out by a suitably qualified body, to the satisfaction of the Councils. CA34: Work to clear the streets of wheelie bins and other refuse dumpsters. CA35: Work with Councils to improve shop fronts and discourage external shop shutters.